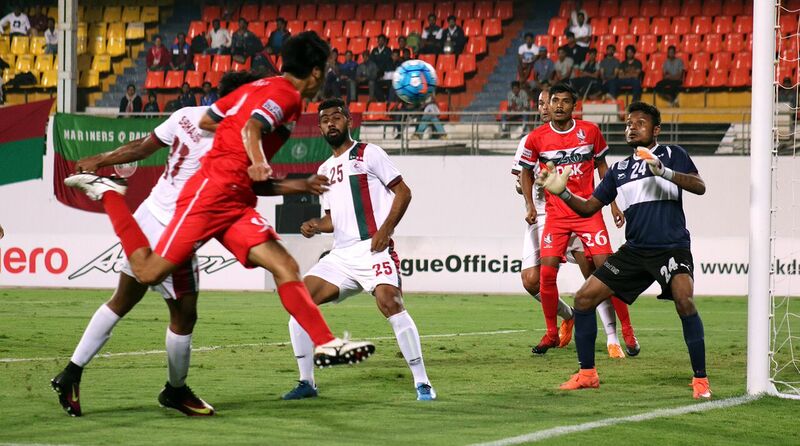 DSK Shivajians held Mohun Bagan to a 0-0 draw at the Balewadi Sports Complex, Pune in the Round 5 encounter of the Hero I-League 2016-17. Kim Song Yong's effort in the 39th minute struck the woodwork while Subashish Bose also rattled the post with his effort late int he second half, and that was the two closest moments to break the deadlock in the match. Mohun Bagan's star man Sony Norde was marked very well by Nirmal Chettri while Jerry Lalrinzuala took care of the left hand side as Bagan were cramped for space from the wings. Mohun Bagan dropped their first points in this season's I-League and have 13 points from their quota of 5 matches.